Holiday destination of the rich and famous! So it seems that Spain's reputation as the perfect place for a holiday is becoming more and more significant as it appears that the Obama's have chosen to holiday near Malága this year. Reports say that the American first lady will be arriving tomorrow, with her younger daughter Sasha, some family friends and 30 body guards.. It's alright for some! Apparent plans seem to be for a relaxed vacation, as Obama himself celebrates his birthday by state visits to Chicago and their other daughter Malia spends time at an American summer camp. But what is it that they will be doing there? This historic town is filled with interesting buildings, and the historic center is bordered by both a harbour and mountains, making it truly unique. Castles such as moorish remains on mount Gibralfaro are well worth a visit, as are the remains of the Roman theater dating back to 100 BC. Churches, as ever in Spain, are well worth viewing, for example the Mudejar (a mix of Muslim and Christian elements) Church of Santiago, as well as the impressive Iglesia del Sagrario, which although clearly christian is built upon the foundations of an ancient Mosque. Finally, next week marks the start of the Feria de Málaga, which ranks highly in Spain's local festivals, whether they'll be around for that - who knows, but maybe it's worth elongating their stay.. In a less touristy, I for one am sure that several trips to the beach won't go amiss, and the First Lady and her daughter will be lapping up the Spanish sun and golden sand, definitely a world away from their American home! Furthermore this visit is reported to be increasing the income of the small town by the sum of around 800 million dollars, so here's hoping they´ll be back to boost the local economy of Spain sometime soon..
Spain is very perfect place for holiday. You will get every enjoy during your holiday in Spain. 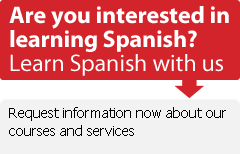 « Next Article: Free Spanish Lessons weekly!